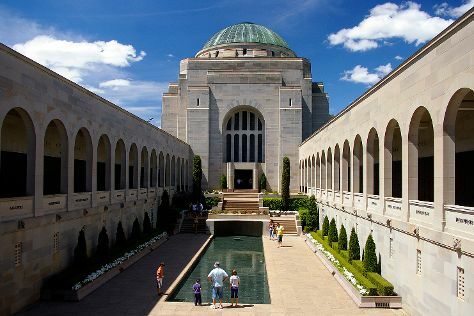 On the 26th (Wed), get engrossed in the history at Australian War Memorial and then get a sense of history and politics at Parliament of Australia. On the 27th (Thu), you'll have a packed day of sightseeing: engage your brain at Questacon, admire the masterpieces at National Gallery of Australia, and then contemplate the waterfront views at Lake Burley Griffin. To see traveler tips, reviews, photos, and more tourist information, use the Canberra trip planning app . Melbourne to Canberra is an approximately 3.5-hour flight. You can also drive; or take a bus. In December, daily temperatures in Canberra can reach 32°C, while at night they dip to 14°C. Wrap up your sightseeing on the 27th (Thu) to allow time to drive to Katoomba. On the 28th (Fri), admire the sheer force of Bridal Veil Falls, take in the awesome beauty at Blue Mountains, don't miss a visit to Day FIne Art, then don't miss a visit to Gallery Blackheath, and finally take in the dramatic scenery at Wentworth Falls. Get ready for a full day of sightseeing on the 29th (Sat): skim along the rocks with a canyoning and rapelling tour, then take in nature's colorful creations at Everglades Historic House and Gardens, and then admire all the interesting features of The National Pass. To see more things to do, maps, and more tourist information, read Katoomba online trip planner . Drive from Canberra to Katoomba in 4 hours. Alternatively, you can do a combination of flight and train; or do a combination of bus and train. Traveling from Canberra in December, plan for a bit warmer nights in Katoomba, with lows around 19°C. Wrap up your sightseeing on the 29th (Sat) early enough to drive to Sydney. Sydney is known for nightlife, trails, beaches, parks, and museums. 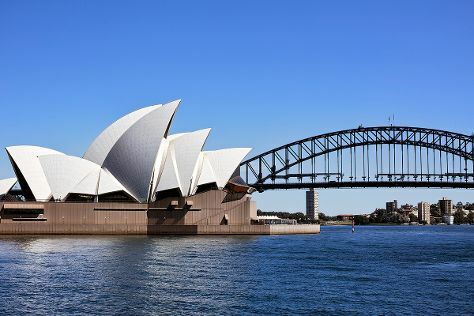 Your plan includes some of its best attractions: hike along Bondi to Coogee Beach Coastal Walk, admire the natural beauty at The Royal Botanic Garden, admire nature's wide array of creatures at Sea Life Sydney Aquarium, and don't miss a visit to Sydney Harbour Bridge. To find reviews, photos, maps, and other tourist information, go to the Sydney tour planner . You can drive from Katoomba to Sydney in 1.5 hours. Alternatively, you can take a train. In December in Sydney, expect temperatures between 32°C during the day and 21°C at night. Cap off your sightseeing on the 1st (Tue) early enough to travel back home.